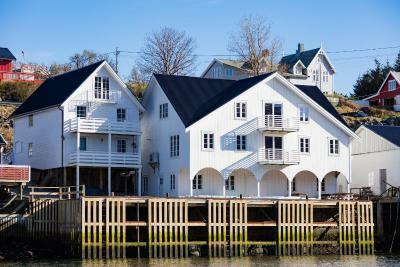 Lock in a great price for Lofoten Rorbuhotell – rated 8.3 by recent guests! Beautiful location, cute cabin with a lovely view and deck. Very comfortable overall. 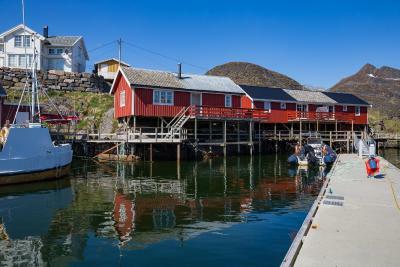 This cabin had the right balance of rustic charm and modern amenities—and the most amazing view across the cove to the village of Sorvagen and the surrounding mountains. 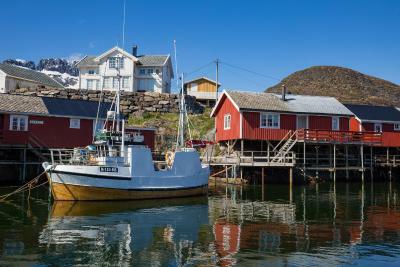 Great central location to explore Western Lofoten. Full kitchen, incredible view of the dock and boats, super cozy. Wished I could have stayed for a week. 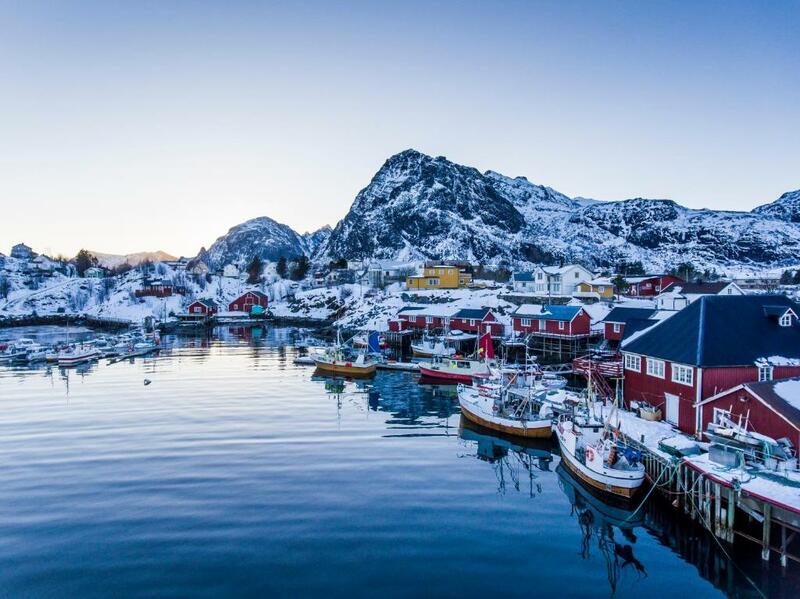 Favorite place in my ten days in Norway. This place was just absolutely perfect. 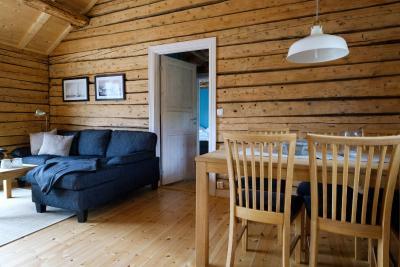 We booked the Superior Cottage (2 Adults) with Sea view and wow! Looks just like the pictures! Loved everything about it, comfortable and updated with a great porch and view out to the harbor and sea. The bed was very comfortable and had a lovely view of another old red stilted cabin. We didn't even take full advantage of the kitchen, but many kitchen amenities available for meal cooking and a coffee maker too (did use that!). Check-in/out was so easy and staff incredibly friendly - they have a nice community area where bands sometimes play on the weekends. Location of this Rorbuhotell was just excellent, allowing us to explore all the nearby towns and mountains. Would recommend this specific cabin to anyone who is looking for a more affordable but still somewhat deluxe cabin experience! We liked the rooms (mezzanine was nice! 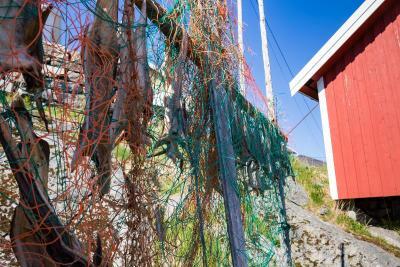 ), the location and proximity to Reine and Å. 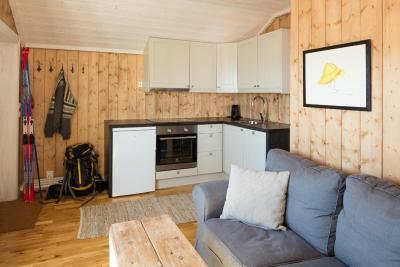 There was also a TV, which we did not have in other places in the Lofoten. Beautiful location with a patio to enjoy the view. Accommodations were very comfortable and spacious for the two of us. Would love to return for another trip. Cottage was larger than we expected. Loved the extra space! Kitchen was convenient for breakfasts...one could easily cook if you wanted to! Beds were very comfortable. Clean and comfortable. Great location! Very beautiful on the water with the mountains/fjords in the back. Great place to go hiking or see the Museum which is pretty much on site. The place also doubles as a restaurant/bar which is always a plus and staff is very friendly and helpful. 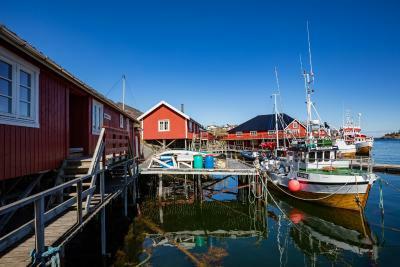 One of our top picks in Sørvågen.Offering a restaurant, Lofoten Rorbuhotell is located in Sørvågen fishing village. 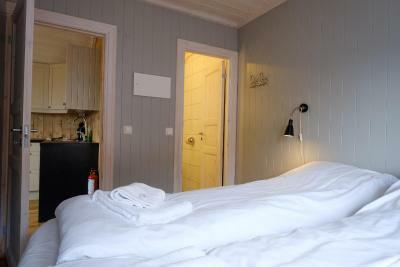 Guests can choose from guest rooms or self-catering cottages. 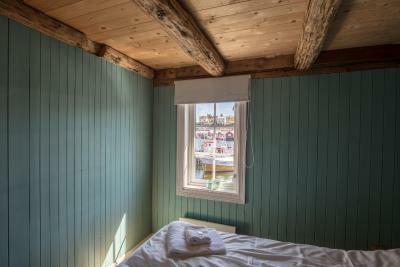 You can enjoy sea and mountain views from all the rooms. 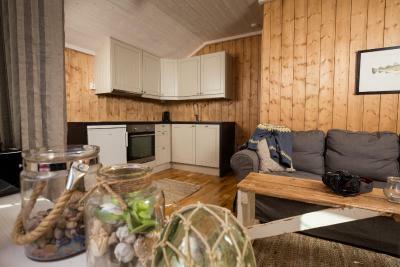 The classic red fisherman cottages feature a private kitchen facilities, private bathrooms and outdoor furniture. 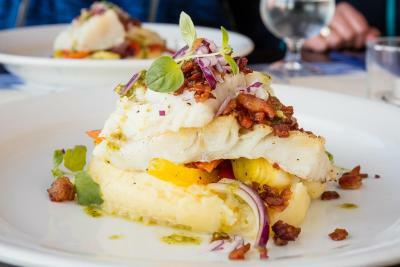 Local dishes are served at the in-house restaurant. Guests can relax with a drink or watch sporting events in the fully-licensed bar. A grocery store is found 350 feet away. 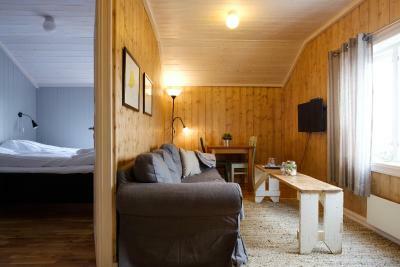 At Lofoten Rorbuhotell you will find a shared lounge. 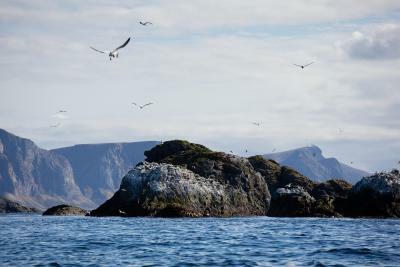 An array of activities can be enjoyed on site or in the surroundings, including cycling, hiking and diving. The property offers free parking. 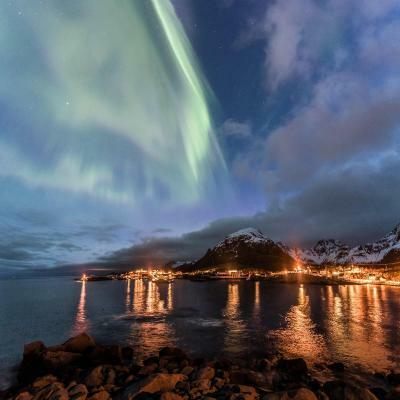 The area is known for the Northern Lights and for fishing. The property can help arrange activities for guests. 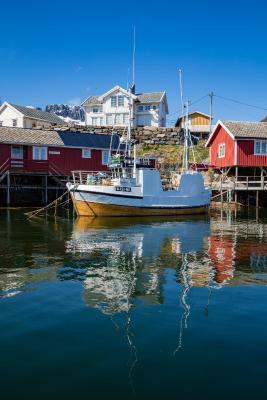 When would you like to stay at Lofoten Rorbuhotell? This rustic-modern holiday home features 2 bedrooms, a full kitchen with dining area and impressive sea views from the patio. 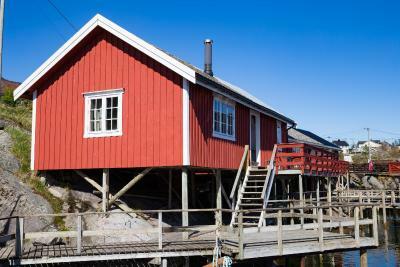 Please note that 2 people are accommodated in a sleeping loft which is only accessible by a steep staircase. This rustic-modern holiday home features 4 bedrooms with private bathroom, a full kitchen with dining area and impressive sea views from the patio. 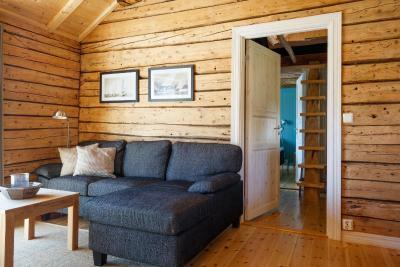 This rustic-modern holiday home features 1 bedrooms with private bathroom, a full kitchen with dining area and impressive sea views from the patio. This suite has a balcony, kitchen and stovetop. These rooms are located 2297 feet from the reception, a 3-minute drive by car. 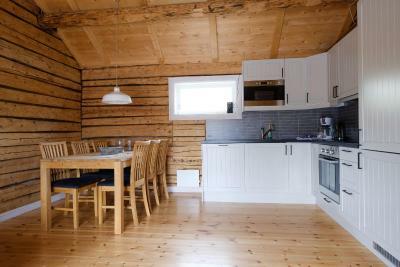 These cottages are located 2297 feet from the reception, a 3-minute drive by car. This family room features a view. 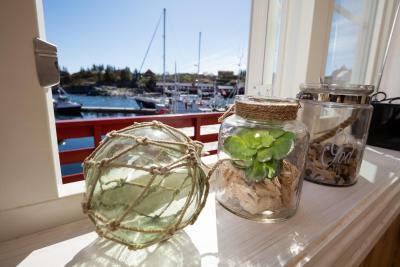 House Rules Lofoten Rorbuhotell takes special requests – add in the next step! Debit card Lofoten Rorbuhotell accepts these cards and reserves the right to temporarily hold an amount prior to arrival. Lofoten Rorbuhotell accepts these cards and reserves the right to temporarily hold an amount prior to arrival. Please note that concerts are sometimes arranged on site during weekends in the summer. In addition, renovations are currently taking place at the restaurant and reception area and are expected to be finished in December 2018. You might experience minor disturbances. 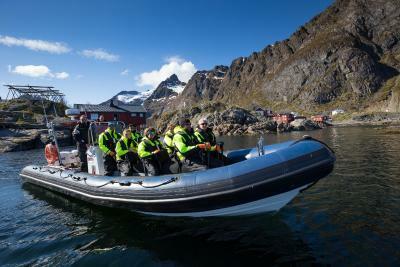 If you expect to arrive outside check-in hours, please inform Lofoten Rorbuhotell in advance. Please note that the standard Cottages and Suite Deluxe are located 2,300 feet from the reception, a 2-minute drive by car. Perfect place for the right price. Highly recommended! Friendly everyone ! not only receptionist but also other people who work there helps me a lot! Cabin so cozy with amazing view, this is the best night we had during our trip in Lofoten island. The kitchen amenities were a little outdated. The water kettle didn’t work and was dirty inside. Cozy and tidy accommodation. The location is good, a store is only five minutes by walk that you can buy foods and drinks. The host is really nice. She contacted with the taxi driver and met me up after normal check-in time. Well equipped kitchenette. No blinds on the living room windows, only in the bedroom.. might be uncomfortable if I want to dress in the living room for example. 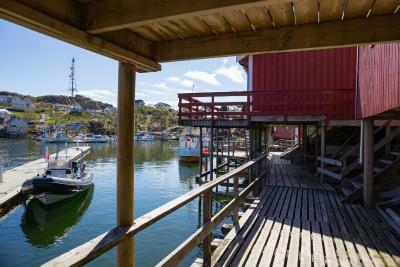 Very equipped kitchen with everything you might need (except for a kettle maybe, there was only the coffee filter machine), comfortable bed, big living room, great location close to A and to Reine, great view to the ships from the balcony. Really thin walls: you can hear your neighbours walk and talk. Beautiful location right on the water. Comfortable warm cabin. The cabin is so cute, the view is amazing! Surrounded by mountains, lots of birds flying around. 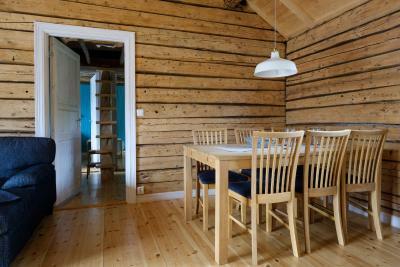 The cabin is well equipped, the facilities are perfect, the host was super friendly! I mean, it's a place you won't regret to stay for few days! 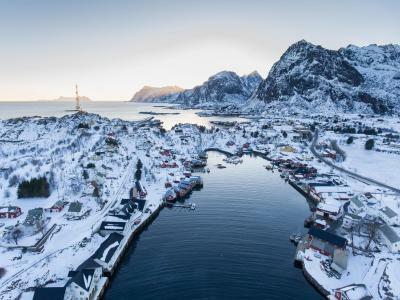 You are also not so far away from Reine, accommodation there is a lot more expensive. The view from the windows takes your breath away. The Rorbuer is stunning, brand new, warm and very well organised. A brand new kitchen with everything you need for your stay, you can also cook!!! The main room is very spacious and comfortable. Bed is very comfy and big in size. The owner was very helpful and very pleasant. She has waited for us until late for check in and making sure that our experience was great. An amazing place where spend time out of any distraction in complete contact with nature. And the view on the fjord... absolutely stunning. Thanks to the owner for the great experience. Perfect location, it’s closed to the joker & market. Our 4 bedroom family cabin was snowed in, hotel refused to clear it up for us and gave us keys to a much smaller 2 bedroom cabin which was horrendous since we had to fit in 8 people initially booked for 4 bedroom cabin into 2 bedroom cabin. We were asked to take out our trash upon checkout, asked to do the bed upon checkout and the staff were just least than helpful in this property. Please avoid at all costs, room images on booking along with views are far away from what reality. Nothing, absolutely nothing we were only waiting for the days in this hotel to end before we go somewhere else to have a better time . We liked absolutely nothing about this property We paid for a 4 room cottage but the entrance was blocked with snow which the staff said we had to clear off ourselves and then we were handed keys to a much smaller cottage and had to fit the same amount of people in it which made the whole stay disastrous. We were told to take out our own trash, clean the room ourselves and the staff was basically not available during our entire stay Up to date we have been charged for a 4 room bungalow and we were given a much smaller sized cottage. I left my belongings there, staff denied to send it by mail or even discard the items. Terrible service terrible staff attitude! I travel to 30 countries a year staying in both high end and budget rooms, this by far was the worst. Everything was excellent!!! I do recommend!! 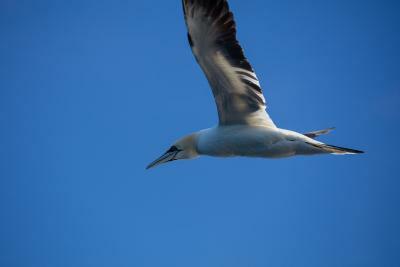 Location is excelente, very complete accommodation and the owners were outstanding and very kind!!! You can see the Northern Lights from your cabin!!!! Amazing cabin set in a stunning location. Good communication from the owners and they came and met me out of hours for check in. That’s not completely sea view. The bay is visible only at the living room, not bedroom.